The companion package is designed for those not wanting to compete in the ETR but who still want an immersive trekking experience visiting some of the places that the runners will experience. 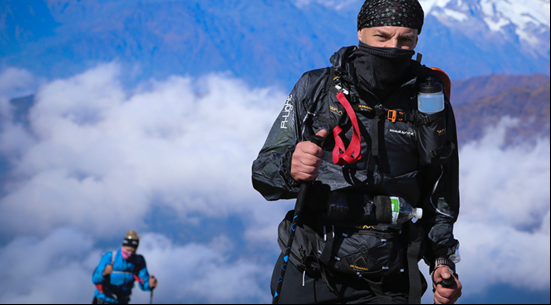 The trek will require some degree of physical fitness as days will typically be 4 -6 hour tracks at a medium pace. You will be accompanied by an experienced English speaking Sherpa at all times and your stays will be in (basic) mountain lodges, you will be catered for (Breakfast , Lunch and Dinner) along the way. This is an excellent way to see the terrain that the competitors will be covering, albeit in a much shorter route and at a much more leisurely pace. You will also get to see the competitors at one stage of the race. You will be with the competitors as per their itinerary before and after the race. – 4 nights accommodation at 4* hotel (4 Nepalese stars) in Kathmandu, in double room with breakfast included. 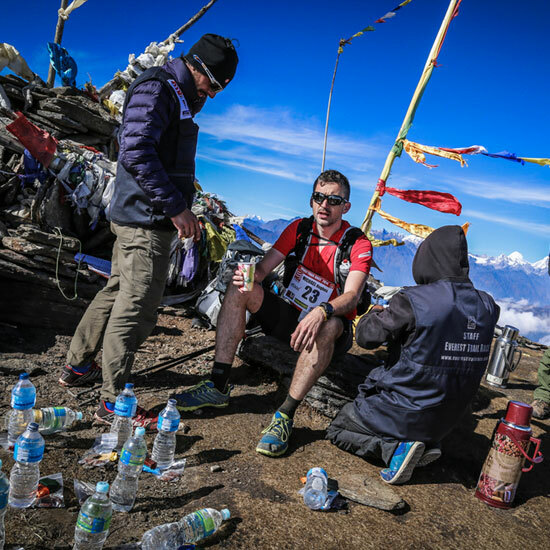 – Accommodation in mountain lodges with dinner after the race, before coming back to Kathmandu. Beverages not included. – Accommodation in mountain lodges during the trek. To cover yourself in the case of injury or illness, we strongly recommend that you take out insurance, which covers cancellation and evacuation.